Silver Geckos formed The in 2016 to take part in X-Marathon. Without going into too much detail the four of us (all workmates) had no real understanding of what we were about to undertake, but we did some training, hired some mountainbikes and turned up at the startline. 38 hours and 240km’s later and having short coursed some sections, we crossed the finishline. At that moment I was pretty sure that was the first and last race we would compete in, but the funny thing about Adventure racing is somehow once the bruises and ache’s fade, and you managed to get more than 10 mins powernap off the side of the trail, the euphoria of realising what you just accomplished kicks in, and before you know it you are once again running around lost in the middle no-where living off muesli bars for a weekend. We missed X-marathon 2017 due to injury, but have re-formed a number of times for different races around Australia. Team members come and go due to commitments. 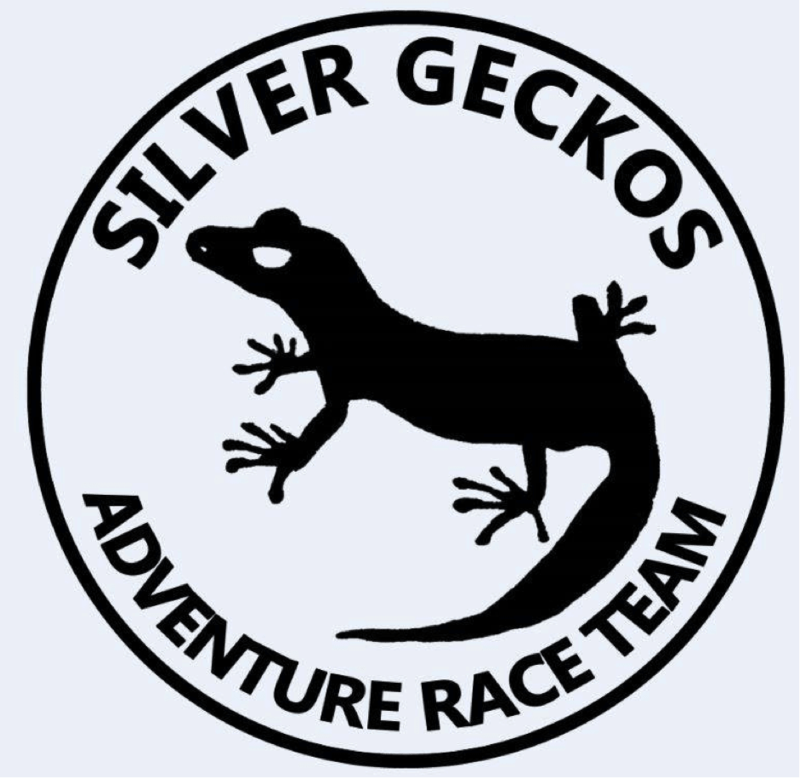 Over time we appear to have formed a bit of a team philosophy: “Silver Geckos maximise the experience to the absolute limit”. So while we tip our cycle helmets to those racing ahead and who complete ridiculous amount of km’s before tea time, we are the one’s out there slogging our way to the finishline soaking up all that great environment for the full race window, only to collapse over the line sleep deprived and broken, but with team selfies, interesting encounters with wildlife, having read any and all heritage information signs on the way, and with very big achievement smiles. 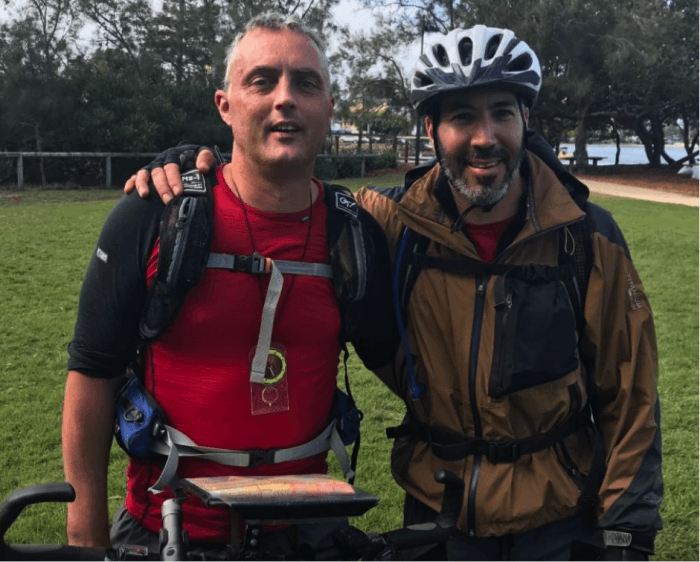 Murray: Arrived from Kiwiland a few years ago and as a lesson to never be too curious about new things in life, found himself at the X-Marathon 2016 start line. Have since competed in a bunch of smaller adventure races including the recent 24hour Hells Bells in Queensland. My natural sport is actually freediving, but also enjoy getting out for a run a couple of times a week. Definitely not a mountain biker, but trying to spend more time on the bike and hopefully will end up with bike legs one day! I seemingly have a natural compass which comes in handy at times, but also retain the capability of becoming as completely lost as the best of them. Oren: Energiser Bunny best sums up Orens attitude and endurance, and he is more often than not the root cause of most of our adventuring experiences. Willing to have a crack at anything and worry about the consequences later. He is also carrier of much tech while out and about, so if in the middle of nowhere special you are hearing Creed or Pink Floyd resonating out over the hills you will know we are nearby. Rob: Has a heart and lungs as big as a lion. Welshman who loves a beer. Has done lots of endro events (ironman, has done several marathons), larapinta (135km ultramarathon), Oxfam several times) but like Sharon this will be his first adventure race. Will bring running and mountain bike skills to the team and is committed to weekly kayak training on Thursday mornings. Complete as much of the course as possible, as one team, in one piece, within the timeframe set. As we are 4 individuals who are yet to train together, we each have our own personal training plans. The intent over the next few months will be to pull together and take part in a few early summer events locally, and get out for some team training around Lysterfield, or You Yangs. Oren and Murray train together regularly, and are gearing up again after a months hiatus from Hells Bells. We try get out around the Tan track in Melbourne as often as possible during the week, and weekends commit to a 20kbike - 10krun - 20kbike. Much talk has been had to purchase a Kayak this year so we can get more water time. Sharon and Rob are already underway with their personal training plans, which are a balance of disciplines, weather windows, and the need for sleep/family. And we have a number of events coming up. Oren is flying to the US to take the Silver Geckos international and take part with his brother in ‘The Storm’ adventure race 24-30 hours on East coast at the start of October. And more locally we have team members attending the Westerfolds Park sprint series in October, Upper Murray River challenge in November, and the East Gippsland Adventure Challenge in December. The best training for adventure racing is adventure racing, and it will help us hone our navigation skills and transitions.